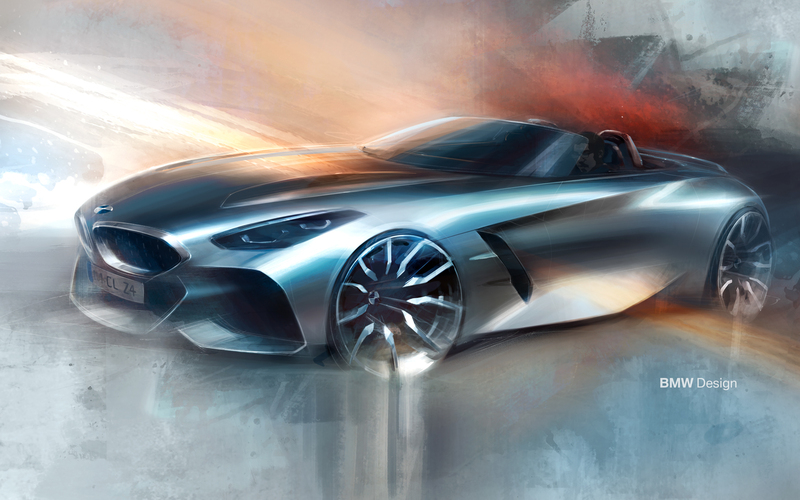 A few years ago, whispers of BMW and Toyota working together on a joint sports car platform were starting to trickle out. 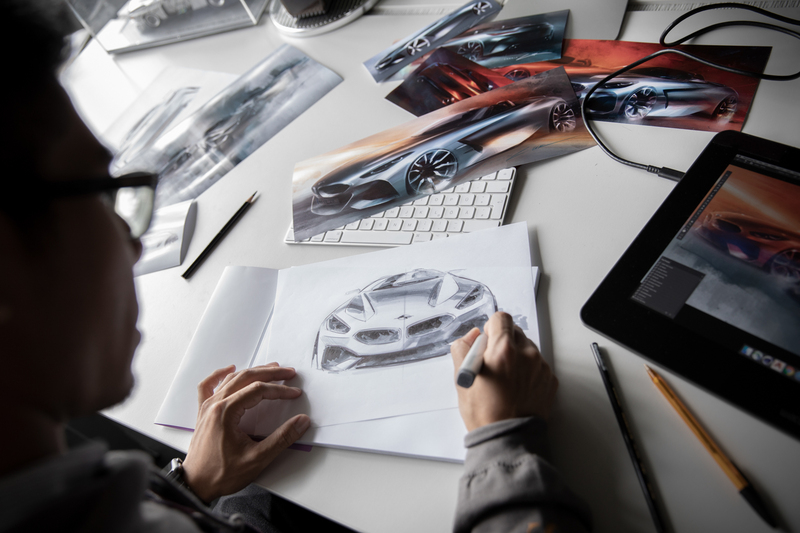 They seemed like nothing more than rumor at first, as there was no official information regarding such a joint effort. 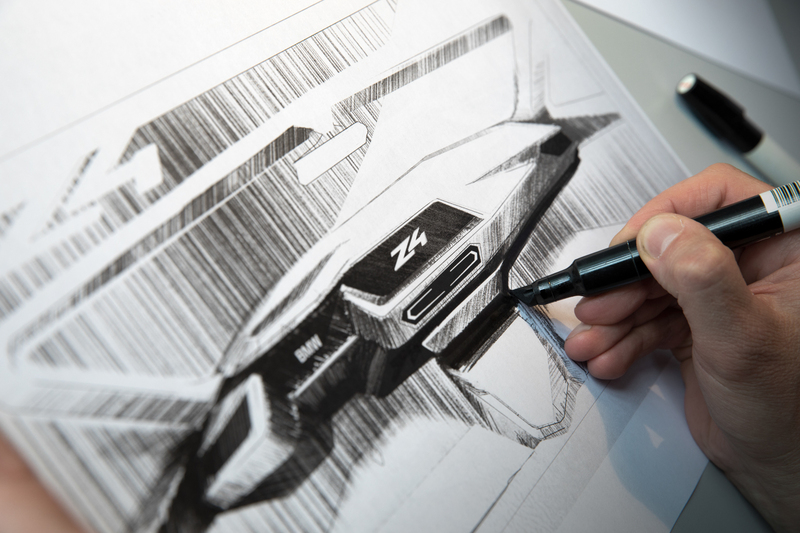 However, as the years went on, we started to learn more about this joint venture. Now, it’s finally here. 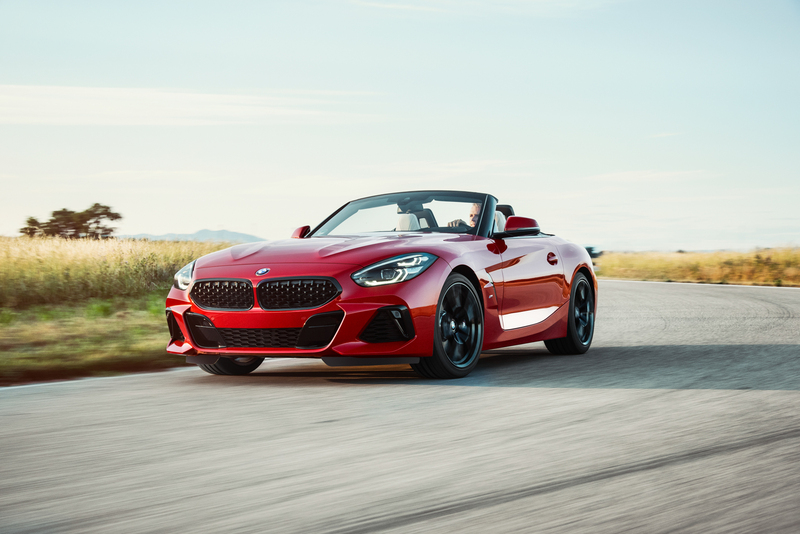 BMW’s side of the partnership has just been revealed at the 2018 Pebble Beach Concours d’Elegance — the 2019 BMW Z4 M40i. 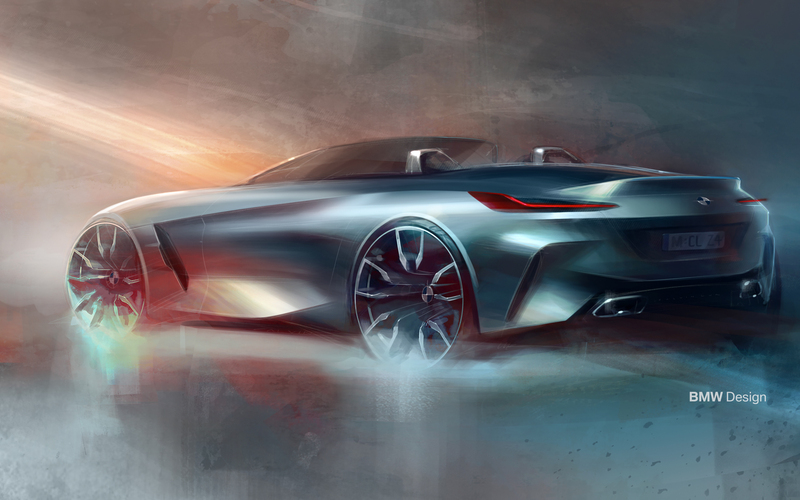 One of the biggest complaints we’ve seen from our readers has been that BMW concept designs rarely survive on route to becoming a production car. 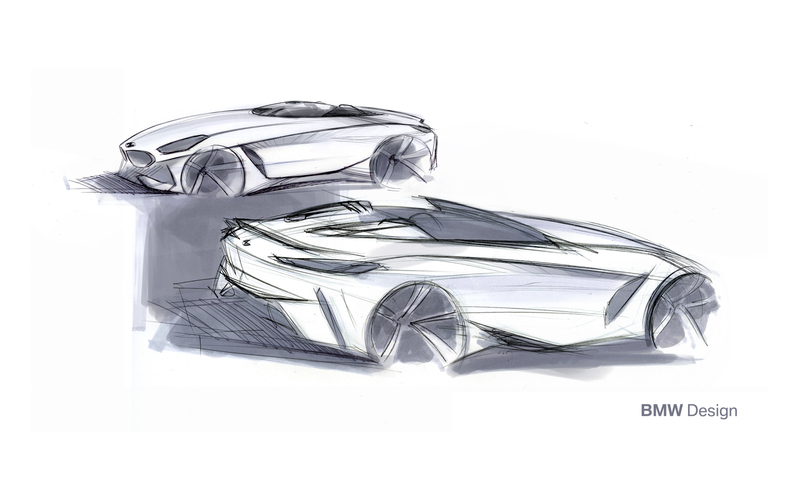 When the real cars debut, they typically look very little like the concepts on which they’re supposed to be based. Not this time, though. 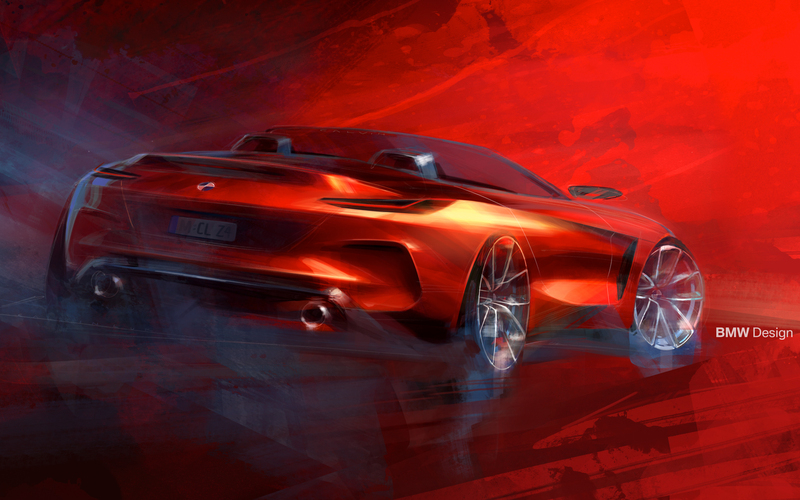 The new 2019 BMW Z4 looks very similar to the concept it’s based on, a concept that fans loved. 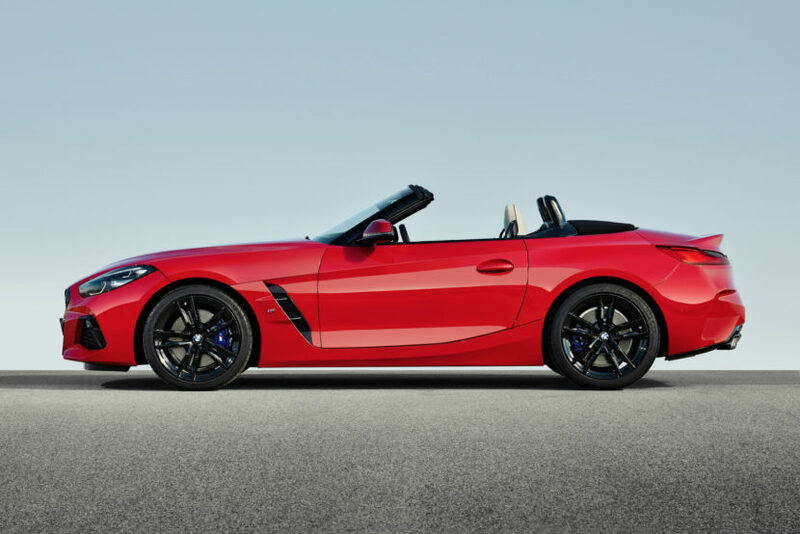 In fact, the new Z4 might be the most concept-faithful production car BMW has made since the i8. 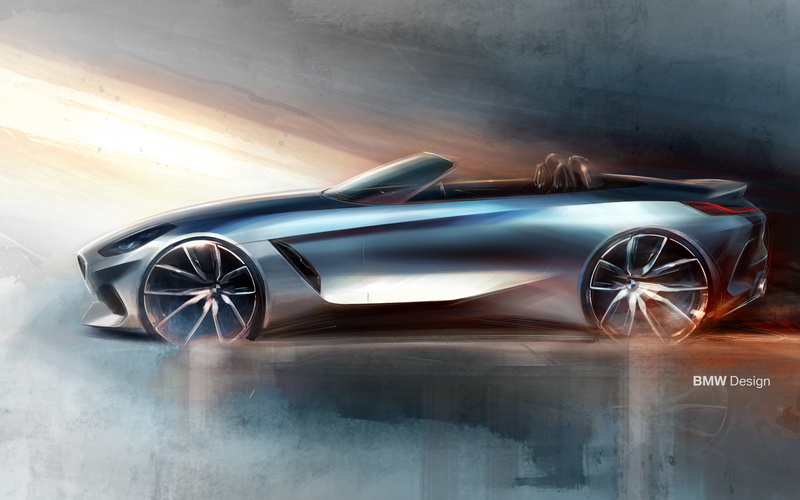 “The BMW Concept Z4 Roadster is a promise of a production version planned for the future” said BMW Group Design Chief Adrian van Hooydonk when the Concept was released. He wasn’t kidding. 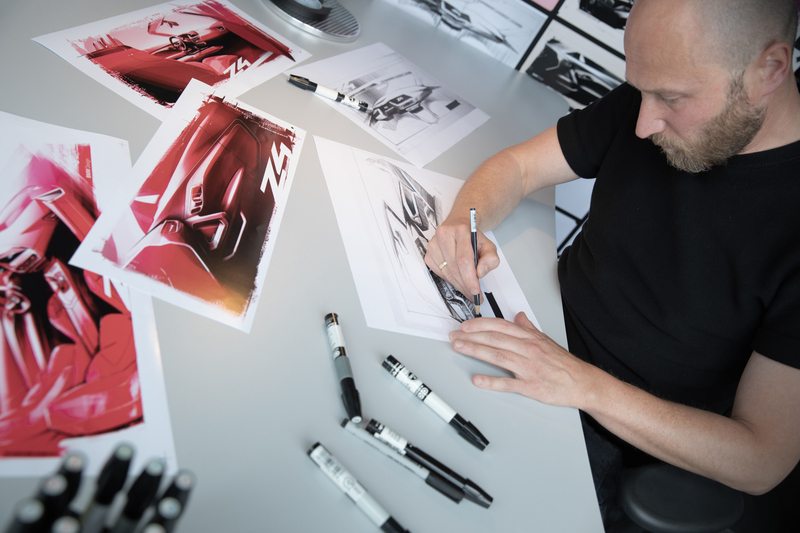 In terms of design, there are a couple of BMW-firsts for the Z4. 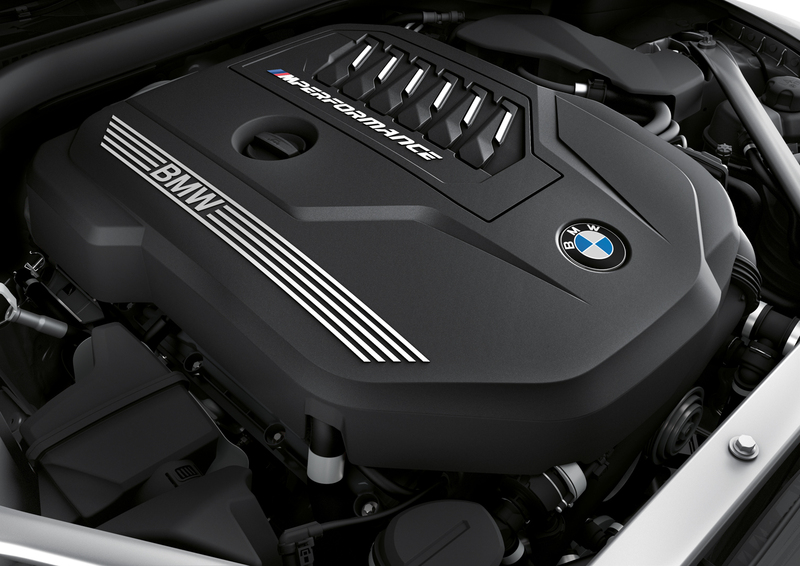 Rather than vertical slats, its wide Kidney Grilles are filled with little “Y”-shaped designs. 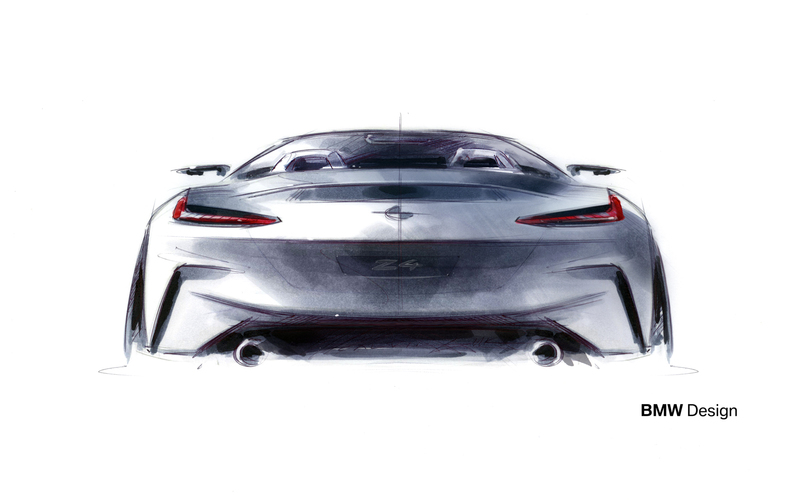 That styling cue is pulled directly from the Concept. 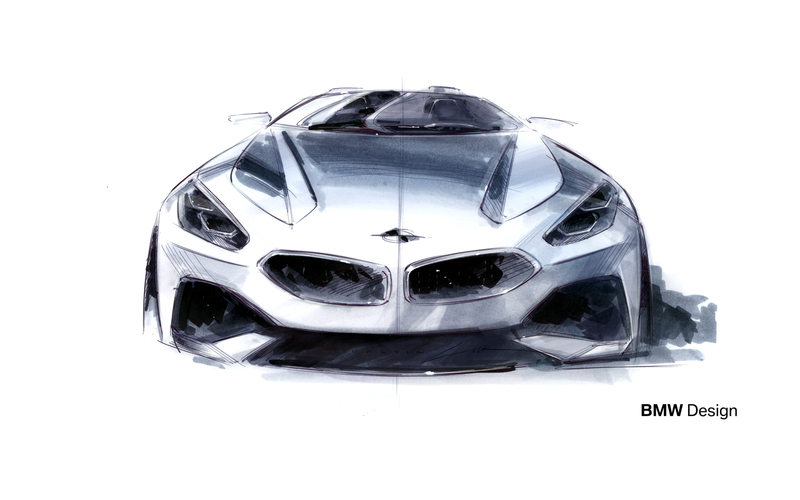 Another design element pulled from the popular concept car is the use of vertically-aligned headlights, which is another BMW-first. 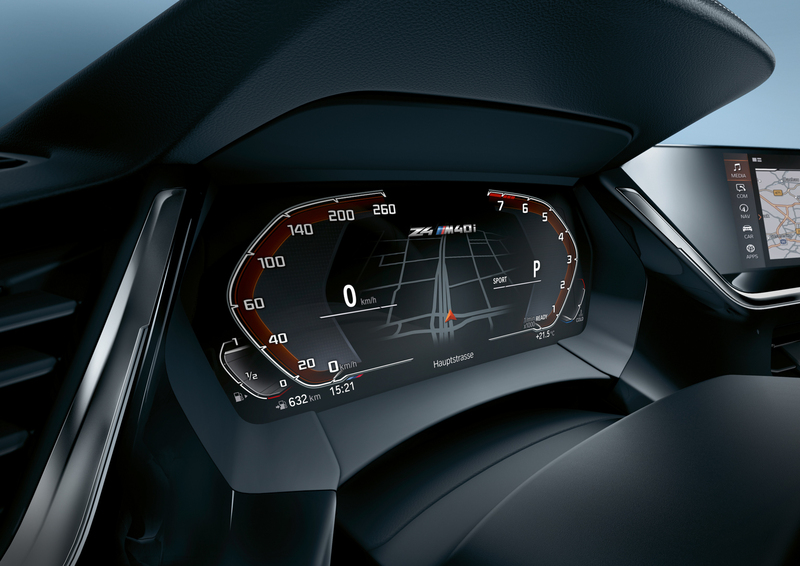 Typically, BMW headlights feature twin, horizontally-opposed halos. 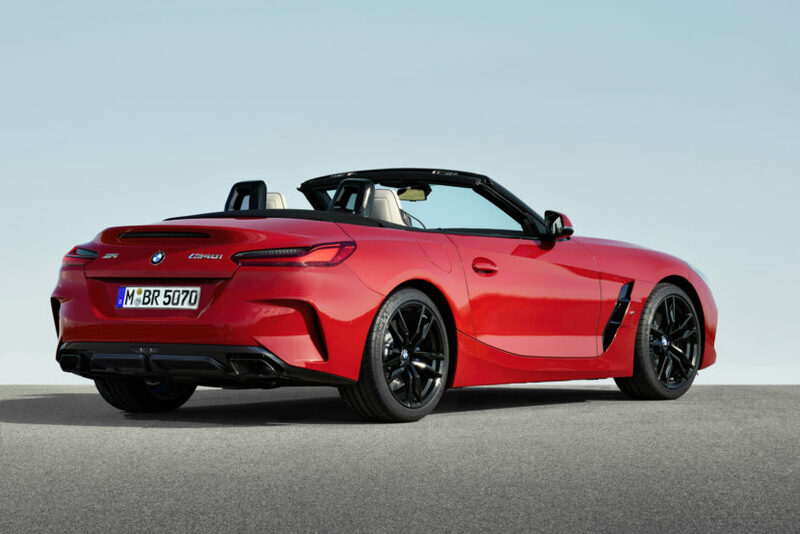 For the Z4, though, they’re vertically-opposed. 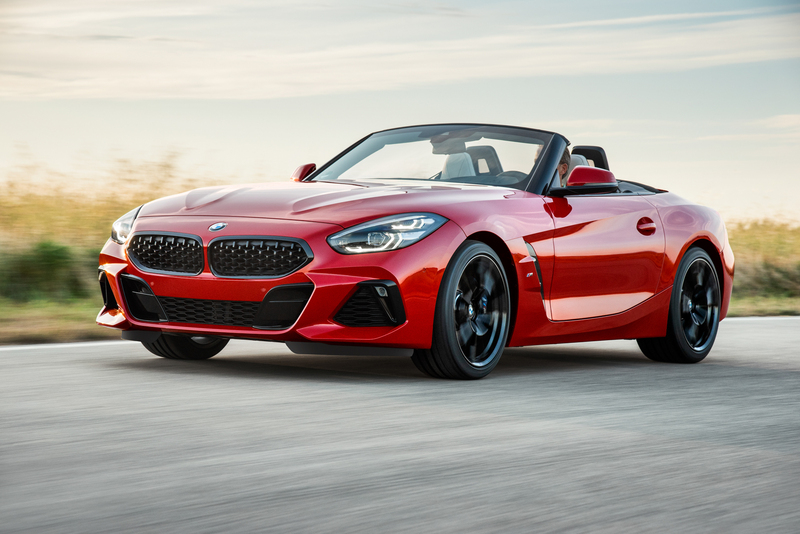 These give the Z4 a rather new face, one that’s quite a large departure from traditional BMW design, but it’s one we like quite a bit. 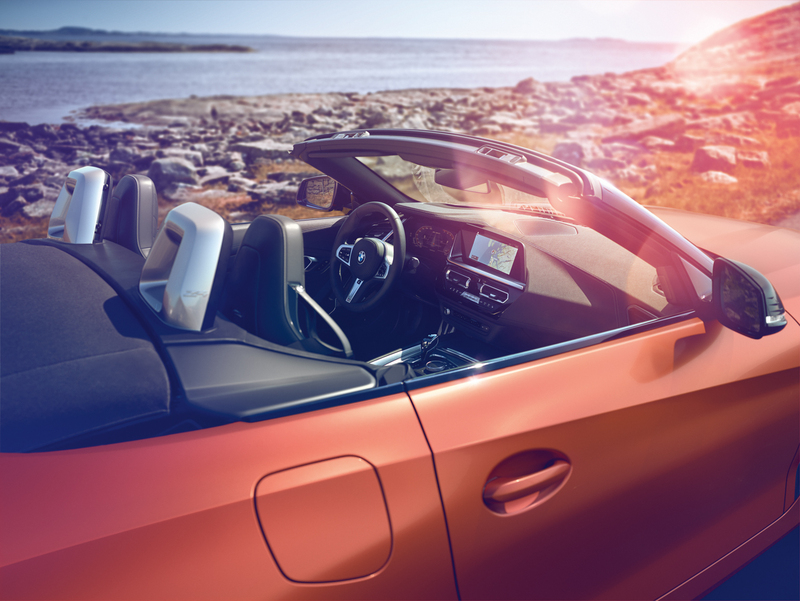 Another interesting bit about its styling is just how sporty it looks. 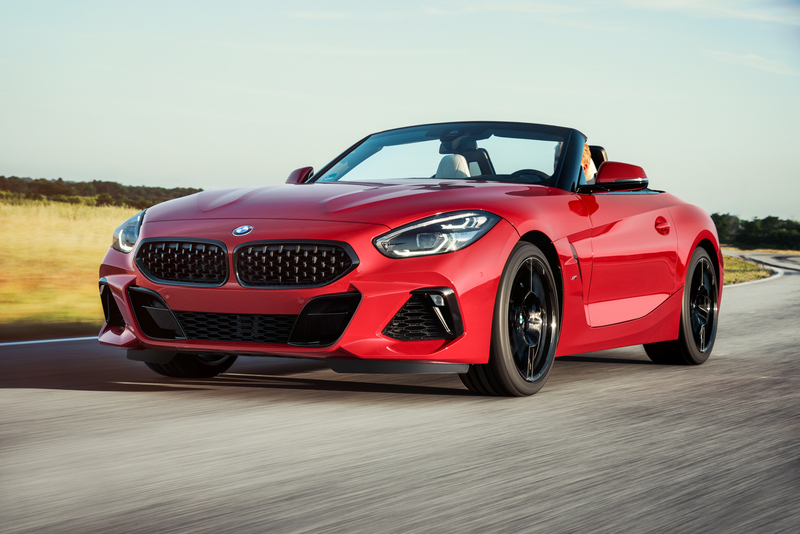 The previous-gen Z4 was prettier, smoother and more stylish. 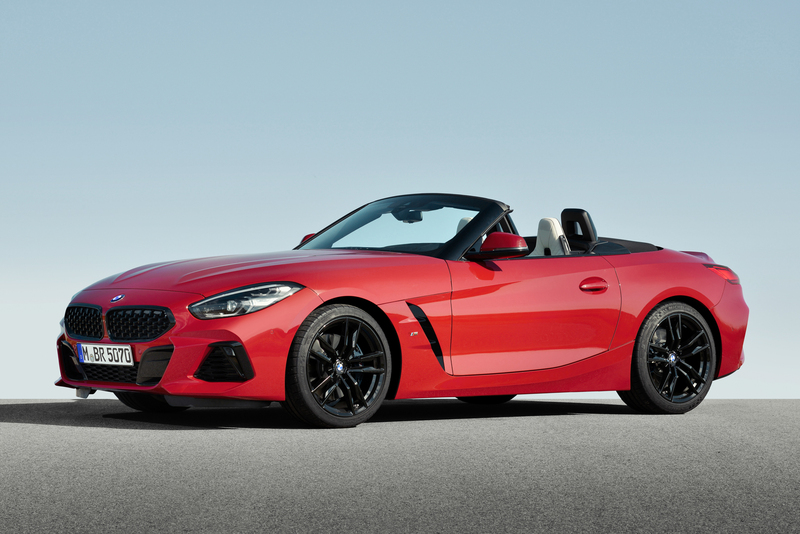 This new BMW Z4 is far sportier, stubbier and punchier. 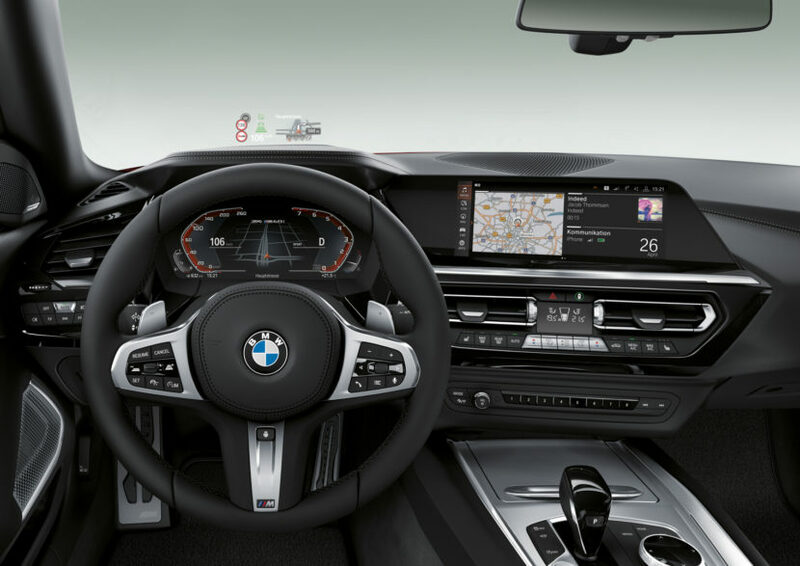 It looks like a sports car, especially in this M40i variant. 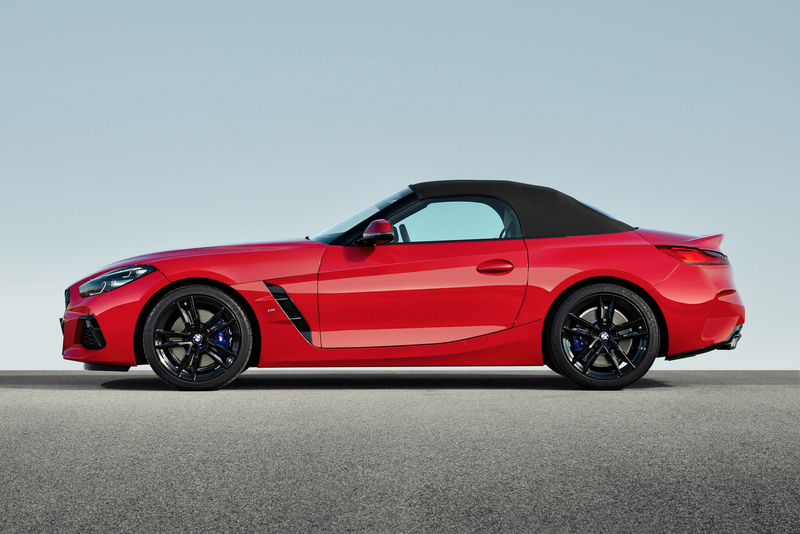 Though, it still has the classic roadster proportions, with a long hood and short rear deck. 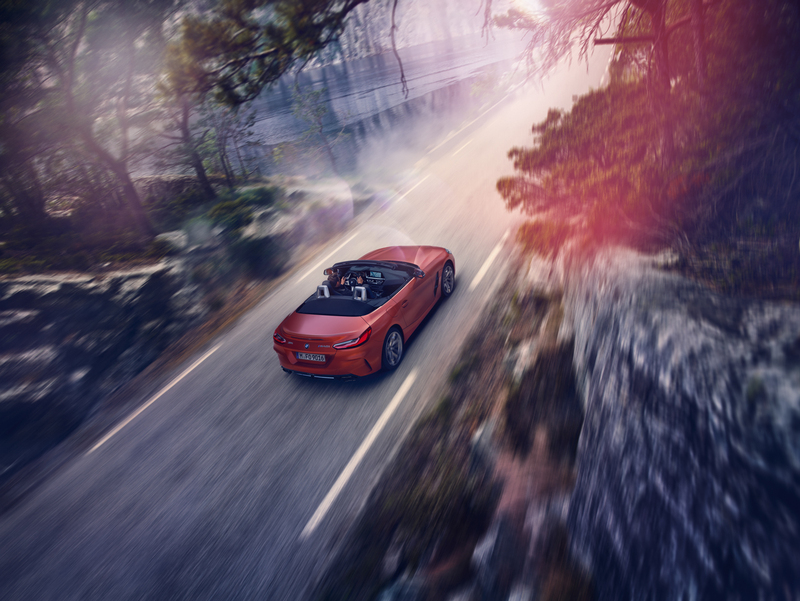 Inside, the new BMW Z4 features the brand’s new interior design language, which seems to be shared with cars like the new 8 Series, X5 and 3 Series. 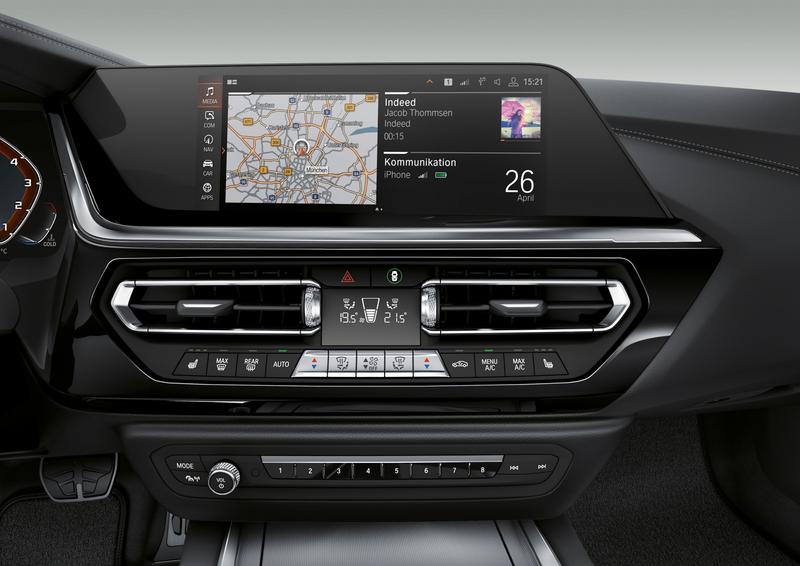 So it gets BMW’s latest iDrive, a new rotary iDrive controller that features a knurled aluminum bezel, a brand-new Head-Up Display and BMW’s new Live Cockpit digital instrument panel. 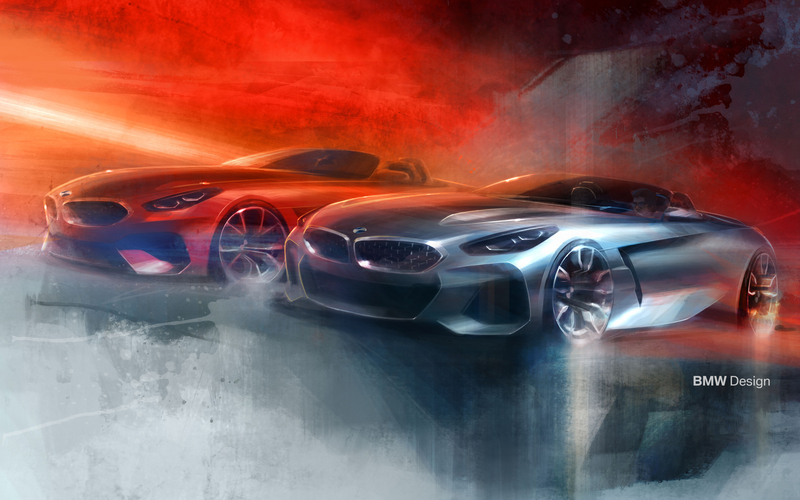 It looks similar to the 8 Series’ as well, which is a good thing. 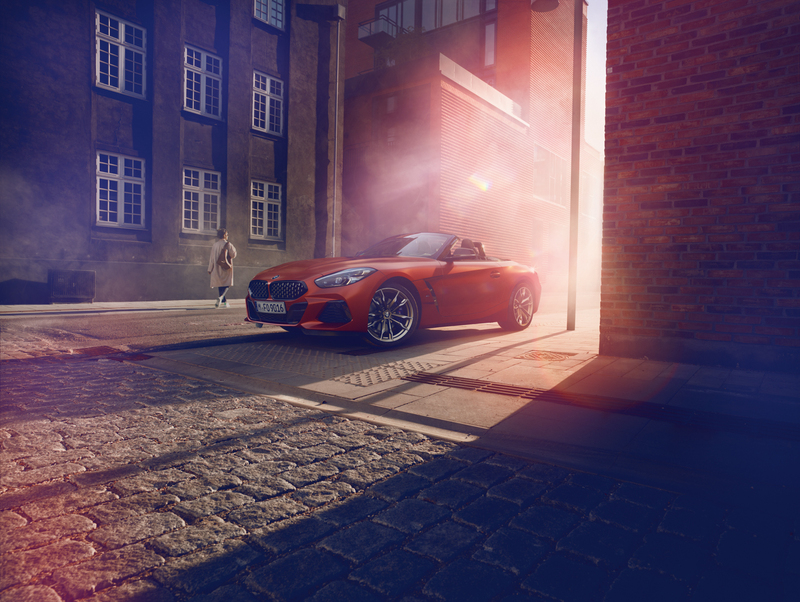 Thankfully, the new Z4 isn’t all face and no trousers (to pinch a line from Jeremy Clarkson). 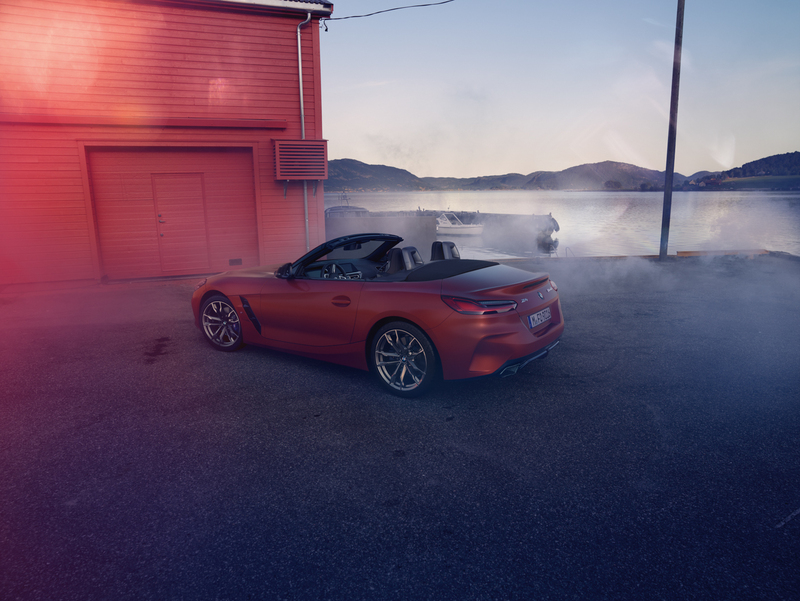 Built on the same chassis as the new Toyota Supra, this BMW Z4 is lighter, stiffer and more dynamic than its predecessor. 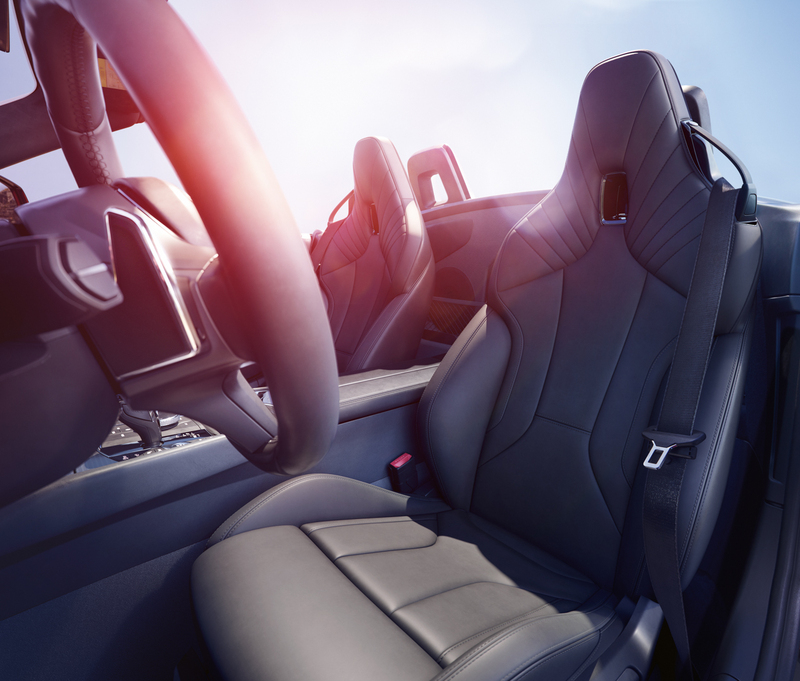 It also features a perfect 50/50 weight distribution and, in the case of this M40i, a 3.0 liter turbocharged I6 engine. The engine in question is BMW’s brilliant B58, which in the Z4 M40i makes 382 hp and 369 lb-ft of torque. 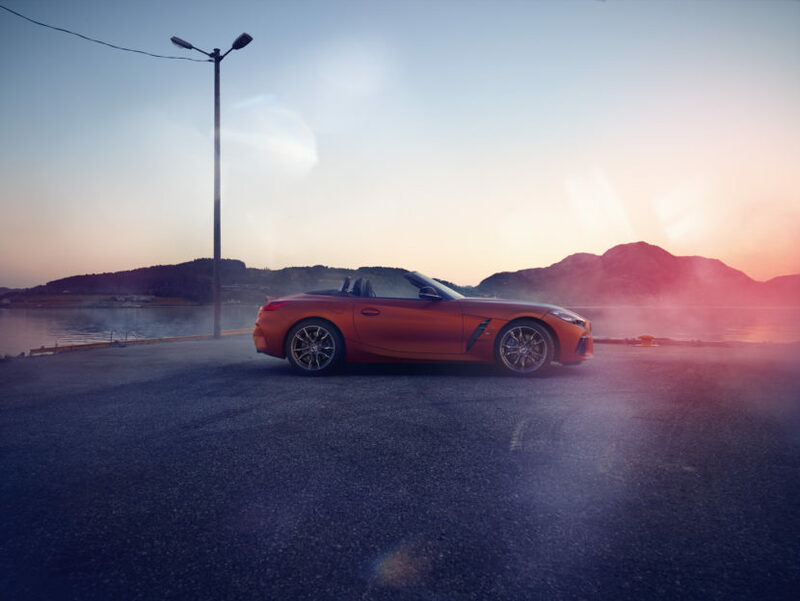 That makes the Z4 the most powerful BMW to feature the B58 engine, which is exciting considering how light it will be. 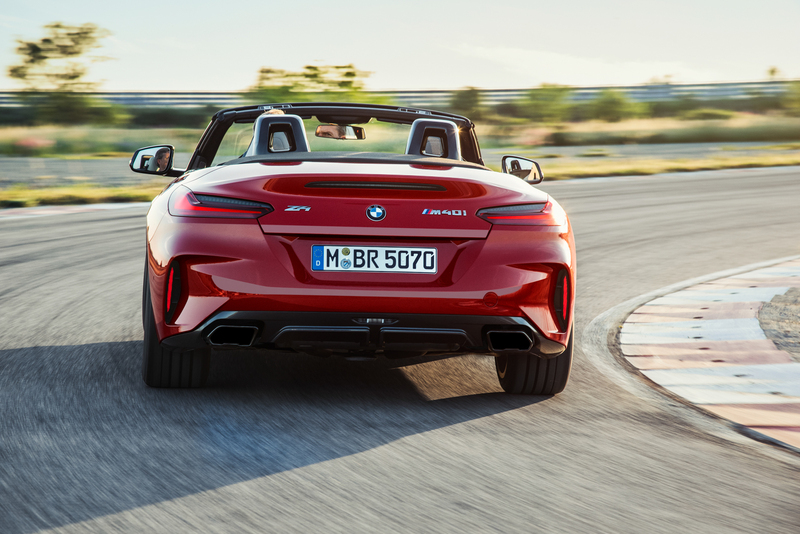 BMW claims a 0-60 mph time of 4.4 seconds, though we reckon it will be quicker than that as BMW times are always criminally underrated. 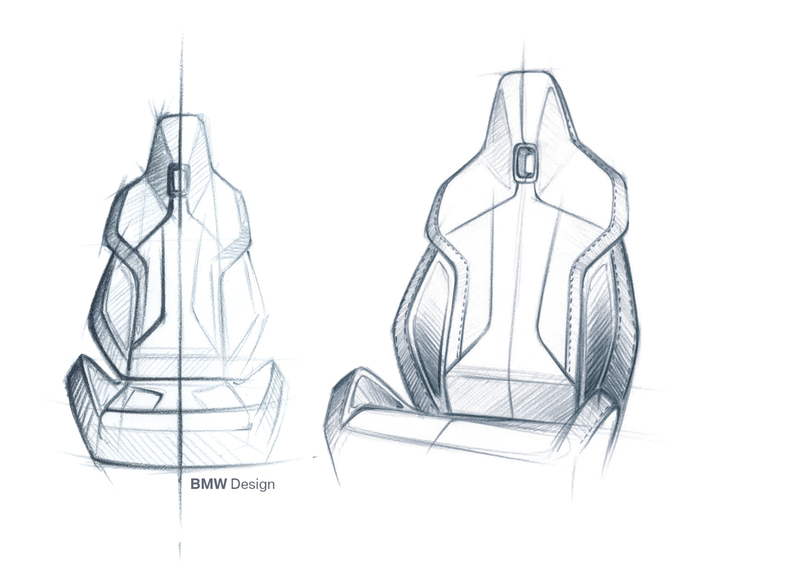 No wonder BMW doesn’t feel a proper M variant is necessary, the M40i is a rocket. 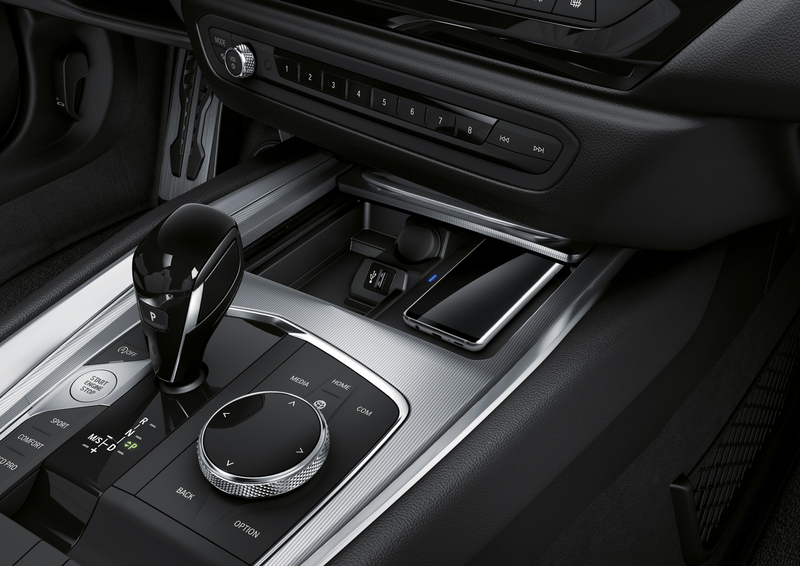 Paired with the punchy B58 engine will be a ZF-sourced eight-speed automatic that will route power to only the rear wheels in the M40i version (no word on if xDrive will be available on lesser models). 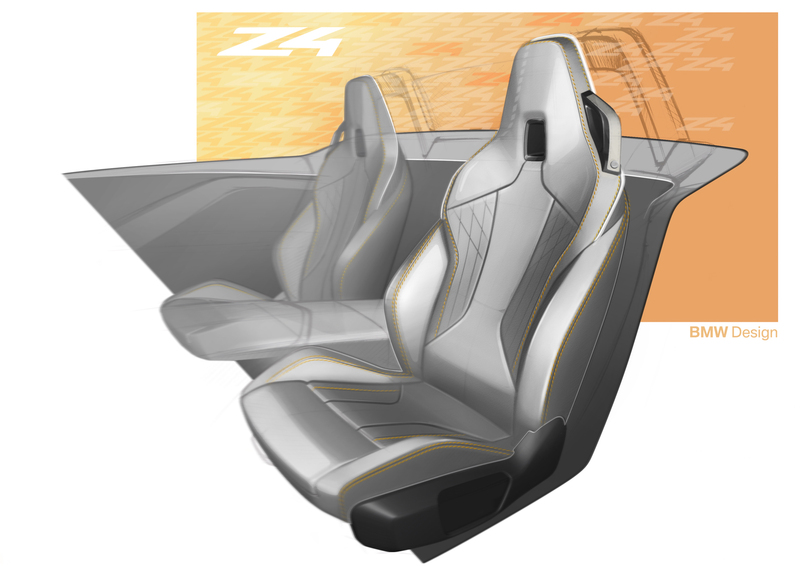 It will also be getting an electronically-controlled limited-slip rear differential as standard equipment. 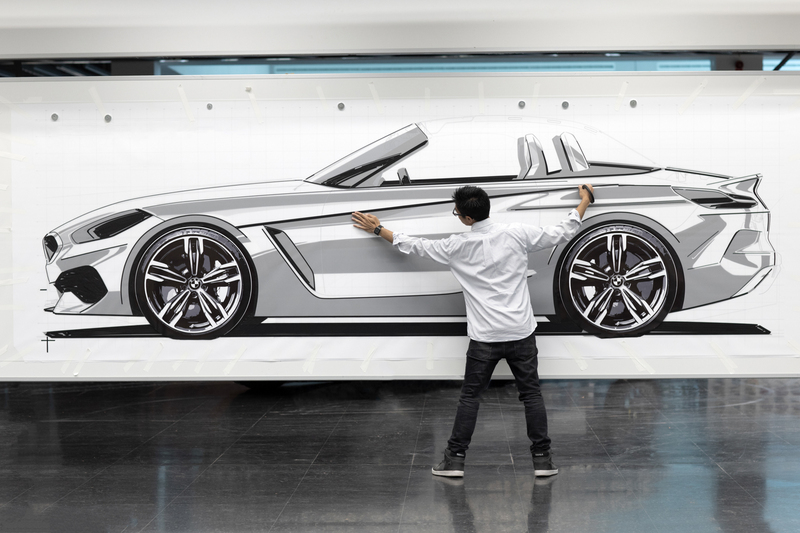 The model you see in these photos is actually the BMW Z4 M40i First Edition, which will be a limited special edition model for the people who buy it, well uhh, first. 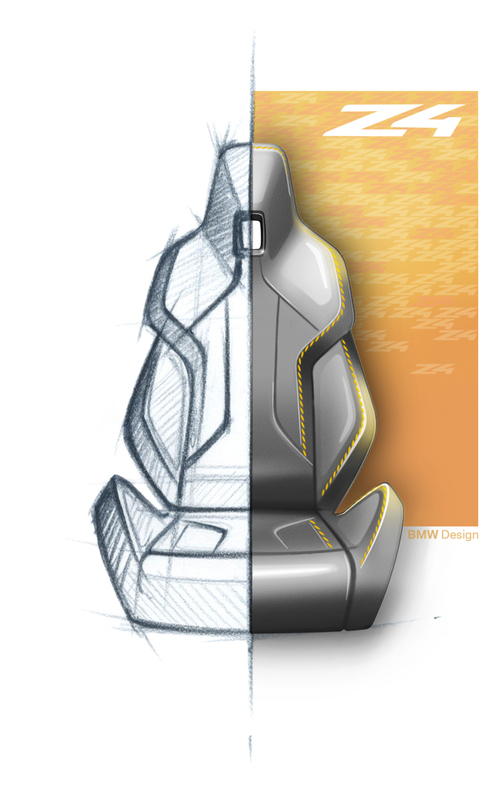 First Edition models will get an optional Frozen Orange Metallic paint, Vernasca black leather with contrast stitching, High Gloss Shadow Line trim and 19-inch wheels. 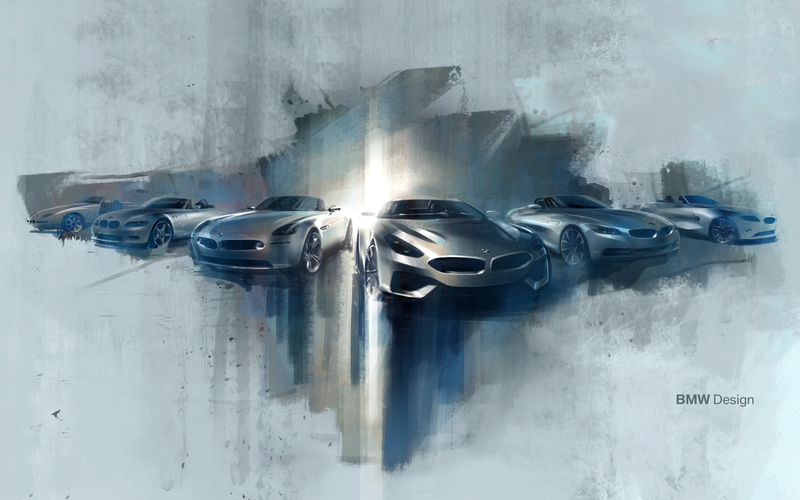 Full specs and pricing will come out September 2018 but cars won’t hit the road until Spring 2019. 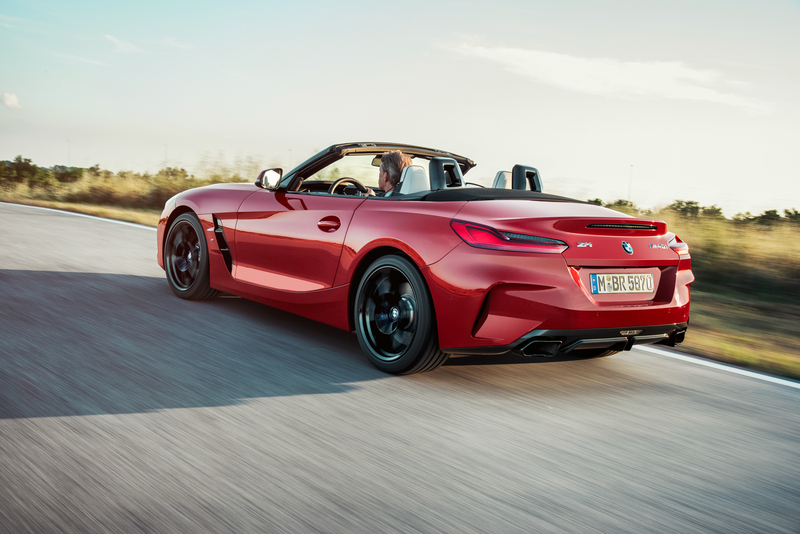 Journalist test drives will come sooner than that and we can’t wait to find out how the new BMW Z4 handles and if it can bring the model name back to glory.